JPP aspires to be the intellectual home of those who think of plasma physics as a fundamental discipline. 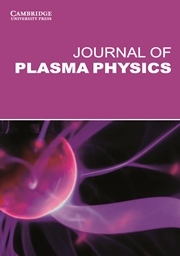 The journal will particularly focus on publishing research on laboratory plasmas (including magnetically confined and inertial fusion plasmas), space physics and plasma astrophysics that takes advantage of the rapid ongoing progress in instrumentation and computing to advance fundamental understanding of multiscale plasma physics. The Journal welcomes submissions of analytical, numerical, observational and experimental work: both original research and tutorial- or review-style papers, as well as proposals for its Lecture Notes series.